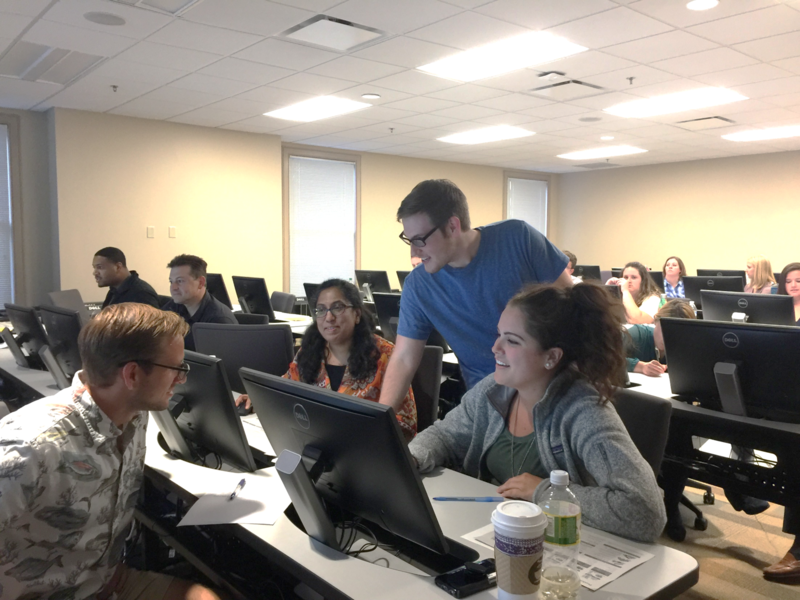 Students from Belmont’s Jack C. Massey College of Business Graduate School of Business (MBA and Professional MBA), College of Pharmacy (joint PharmD/MBA) and College of Law (joint MBA/JD) that are enrolled in an accounting course and a management course recently participated in a SAP-simulated group project and won among their classmates. This is the first time that a student group has included participants from all four disciplines. The SAP-based simulation provides an opportunity for graduate students, in groups of 4-5, to run a simulated company. Each team is responsible for making strategic decisions including product mix, pricing and marketing levels, investment in additional capacity and cash flow management, among other things. They then operate their companies over six simulated ‘months’ of productions. This opportunity is unique as students are able to use SAP, an enterprise software system that is used by many leading manufacturing companies including Nissan, Bridgestone, Tractor Supply Company and Mapco.